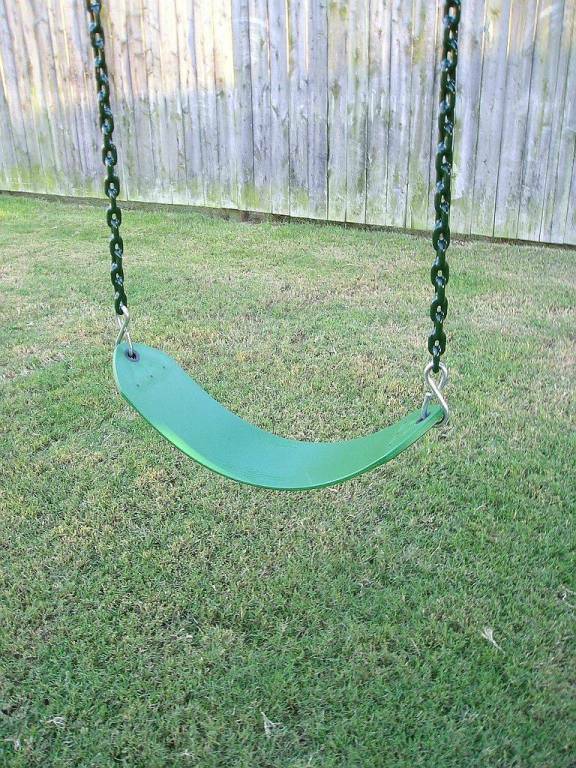 Our Swing Set Belt Swings with Plastisol Coated Chains, eliminate "Pinching" little fingers. You can't find this quality of a Belt Swing at your local hardware store. 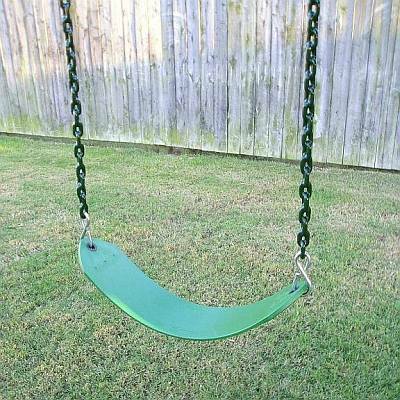 Children of all ages love to swing and having their own swing set and quality belt swings in their own back yard gives them plenty of opportunity to swing whenever they feel like it. Chain recommended limit is 600lbs, tested to 800lbs. Polymer injected molded belt seat with durable molded inserts. Belt seat recommended weight limit is 200lbs, tested to 300lbs and are 24" long and 5" wide, recommended for residential use only. (2) Two 8mm spring clips for easy mounting. Recommended weight limit is 300lbs each. Tested to 500lbs each. The coating provides a better grip for little hands.